Competition at the Leinster schools track & field championships was as fierce as ever today at Santry stadium. Ella Healy had a great win in the minor girls 500m. 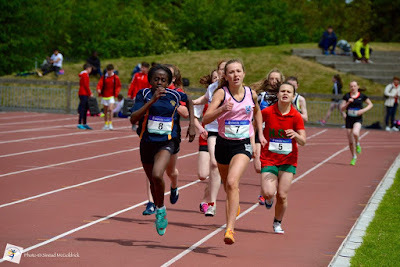 After being passed with about 50m remaining, Ella fought back over the last 20m to take the Leinster title by the smallest of margins as she dipped at exactly the right moment and like every well coached athlete, ran right through the finishing line in 1 min 25.53 sec. 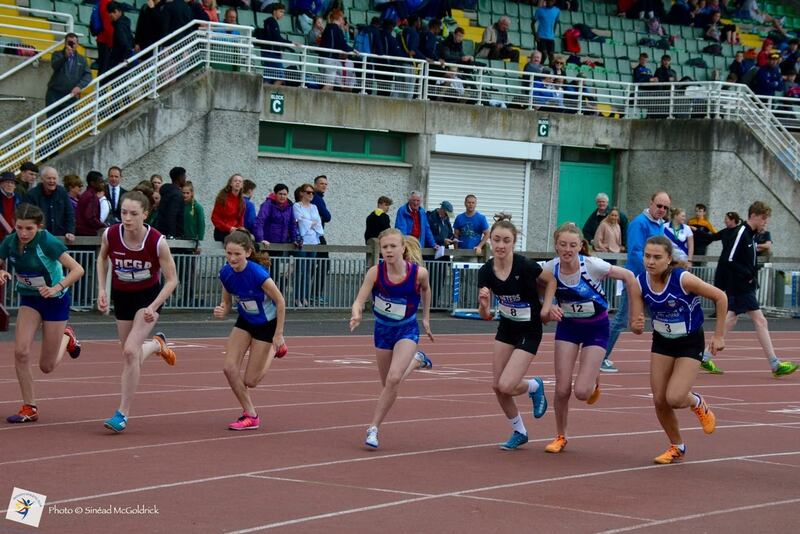 Matthew Buckley was another to excel taking silver in the under 16 boys 200m (23.7 sec ). Philip Marron tripped and fell over and badly grazed his knee even before his steeplechase race started (allegedly over his fathers wallet) but then went on to break Alex Hunters 2k club steeplechase record with a swift 6 min 14.30 posting when also taking second in the senior boys. Fionn Drummond jumped a new PB of 1.45m to take bronze in the minor boys high jump and is developing a knack for producing his best when it really matters. 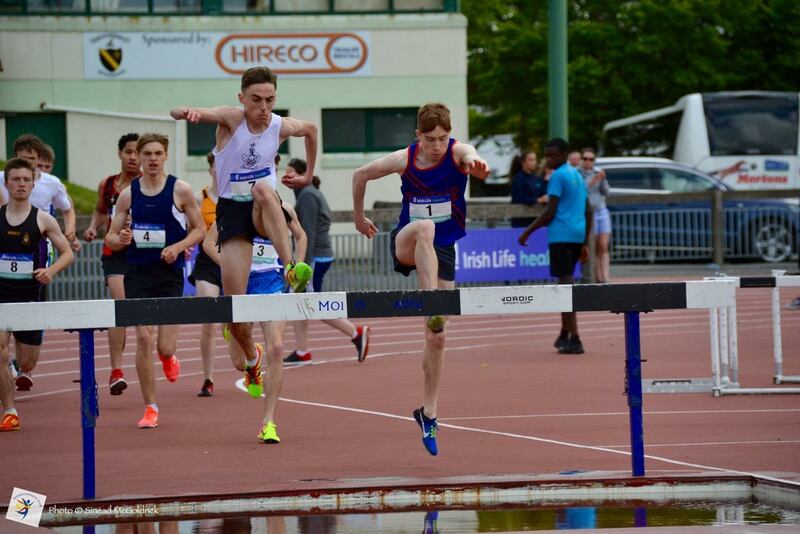 Peter Kilgannon just missed out on qualification for the All Ireland schools when he finished 4th in the senior boys 800m. 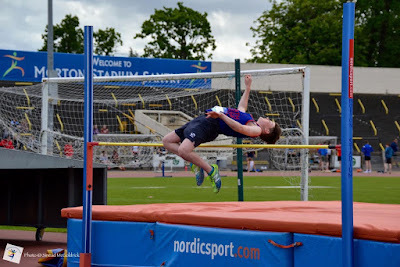 However, Peter had the consolidation of running yet another PB of 1 min 57.88 and no doubt will go even faster once the little matter of some state exams are over.